Texas Discovery Gardens – Bokehmatic! Posted byJames 20 Apr 2015 12 Apr 2015 Leave a comment on Texas Discovery Gardens – Bokehmatic! Thanks to a Groupon, Hana and I found ourselves at the Texas Discovery Gardens over in Fair Park a couple of weeks ago. The weather was beautiful. I shot a roll of film that I’ll share at some point, and otherwise rocked Hipstamatic—my old standby—on the iPhone 5. I’m going to stretch the posts out a bit on this, as I’ve done for awhile now. But to be honest, I’m feeling the need to do more contemporaneous shooting and posting, rather than shooting in spurts and then setting posts up to run weeks or months in advance. *I didn’t think I’d been to the gardens before, but I was there a couple of years ago during the State Fair photowalk, which I apparently never posted about. Strange. But I was posting rather sporadically at that time, and I did have some exposure errors. Anyway. I was at the butterfly house and around the discovery gardens back in October 2011, but didn’t know that’s what it was. So Hana and I went again recently. It was her first time, and mine too, in some sense, since I didn’t know it existed when I was there before. Enough of that… First up: Bokeh! Thanks to the slow autofocus in Hipstamatic on the iPhone 5, and to the fun shooting pictures in bright sunlight with a glossy screen for a viewfinder, I got a few nice examples of the iPhone’s bokeh potential. Fun times. Above some blurry trees. 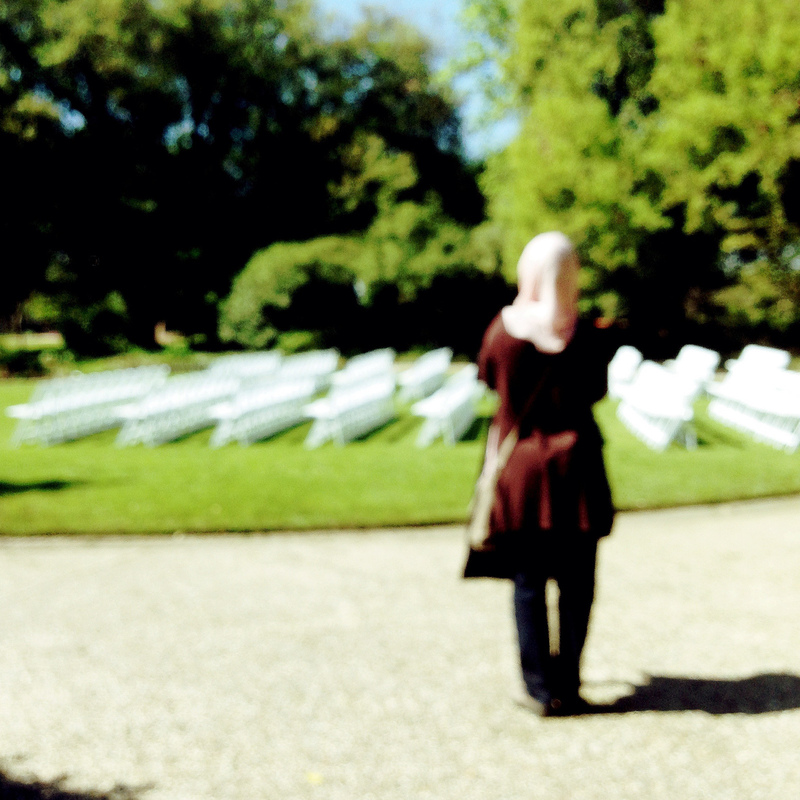 And here, my wife, all blurred out. *Full disclosure: I wrote this post—and those for this entire week**—on April 5. We went to the Discovery Gardens on April 4. **And thanks to the pictures I planned to share tomorrow… I’ve reset this whole week. Give me 5 minutes and all the rest of the trip will appear. This dragging out thing is stupid.